Effective this April, Taco Bell brings back its Grilled Stuft Nacho for a limited time. This innovative treat aims at satiating your urgent cravings for nachos. The Grilled Stuft Nacho promises to give you a handfull of all the goodness of a plate of nachos that could be the best solution to your #NachoProblems. This triangle-shaped tortilla makes it all easy to indulge in a memorable nacho experience in the palm of your hand. 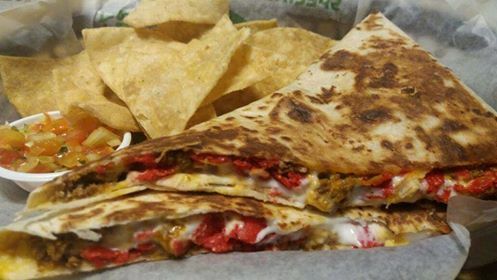 This savory, thick tortilla shell is every nacho lover’s idea of heaven: flavorful layers of seasoned beef, cool sour cream, creamy jalapeño sauce, crispy red nacho strips and warm nacho cheese wrapped in a flour tortilla, shaped like one big delicious nacho, grilled to perfection. 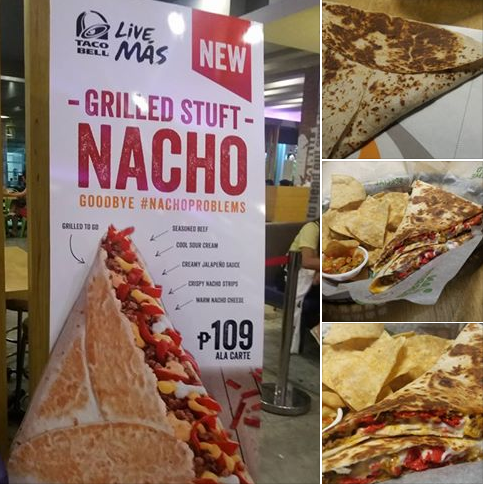 Grilled Stuft Nacho will be available across all Taco Bell branches at Gateway, Trinoma and Alabang Town Center for a limited time only. Do drop by a Taco Bell store and give in to your cravings with the Grilled Stuft Nacho! For more information on this seriously delicious offer and other tasty treats, you can visit Taco Bell’s website at www.tacobell.com.ph. Get updates from the official Facebook page at www.facebook.com/tacobellPHL, follow @TacoBellPHL on Twitter and Instagram.